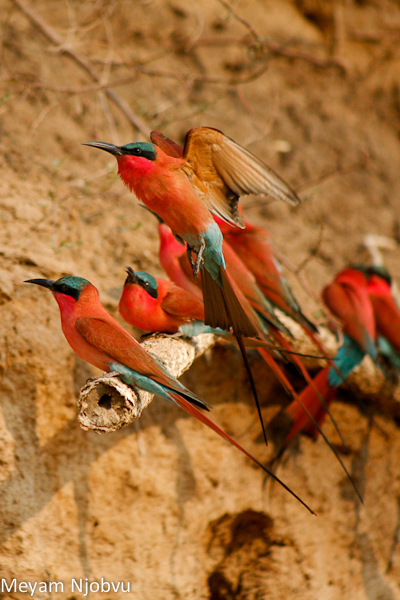 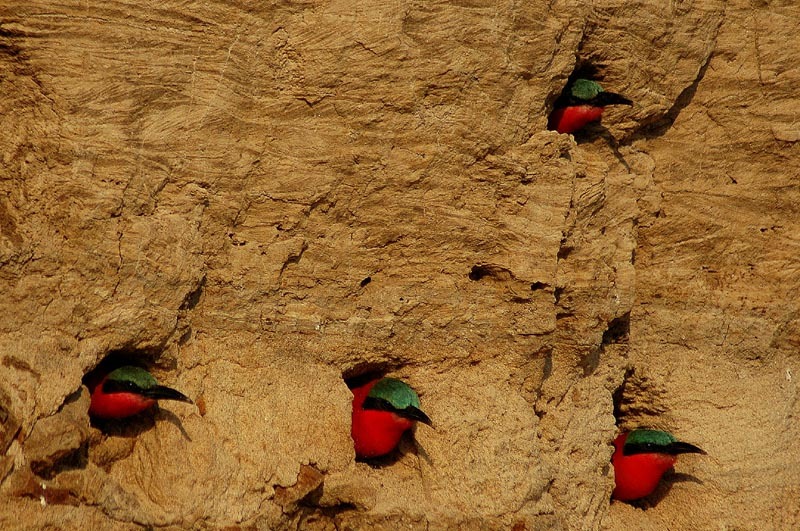 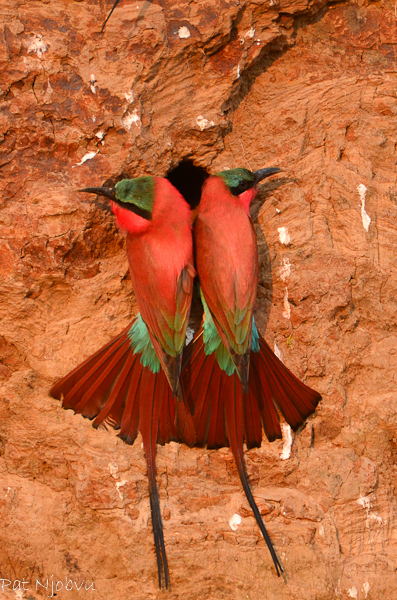 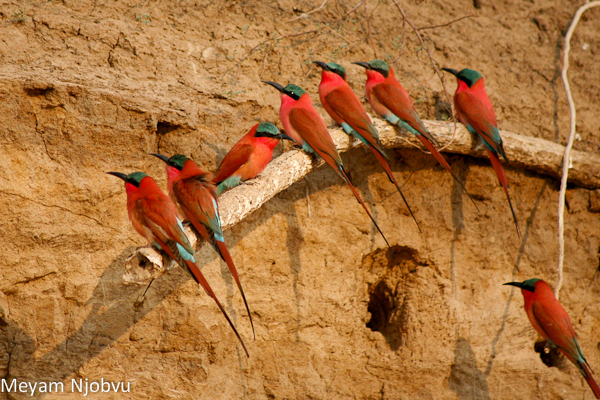 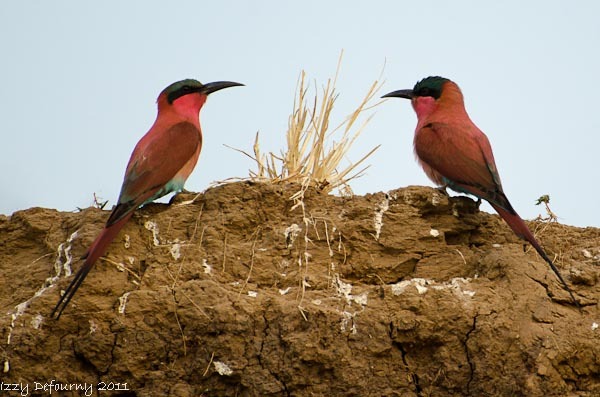 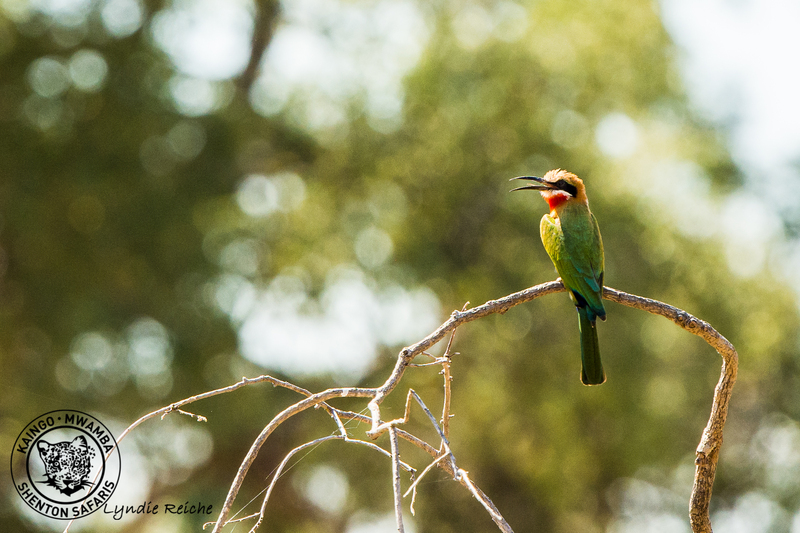 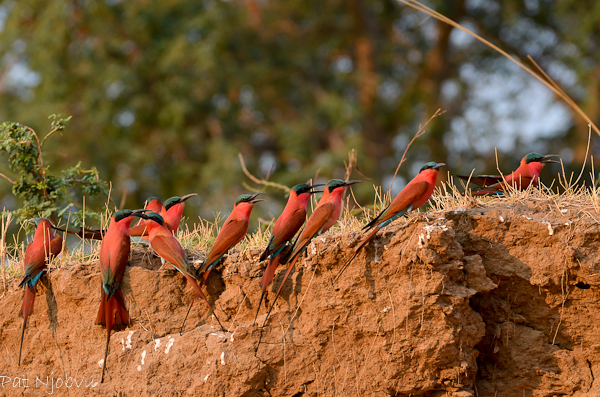 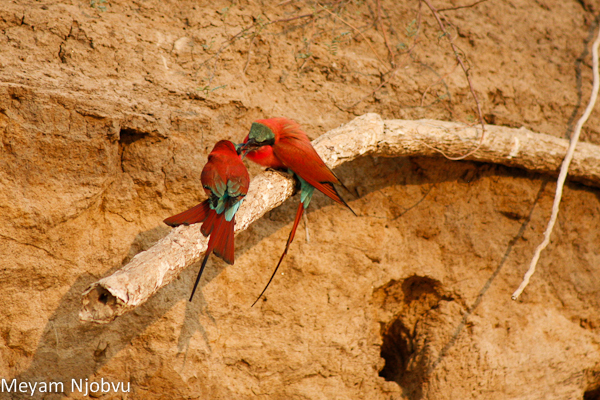 Accessed from both Kaingo and Mwamba, our Carmine Bee-eater Hide is put in place once the Southern carmine bee-eaters have established their nesting site in our area of the South Luangwa. 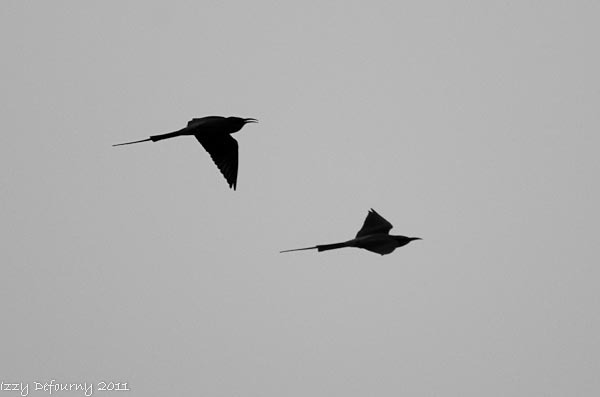 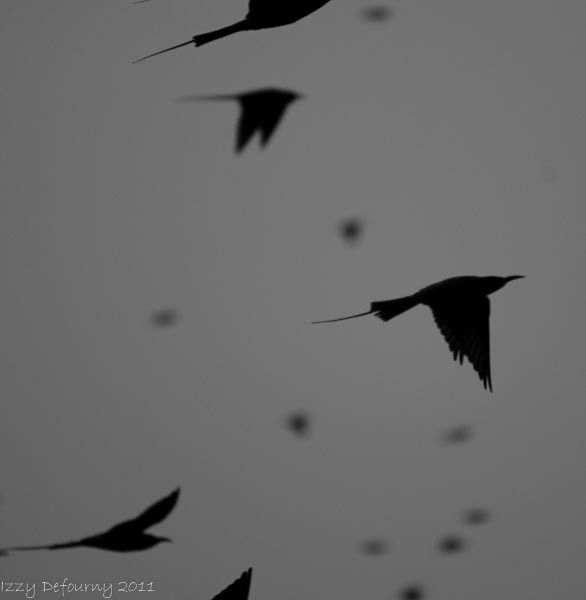 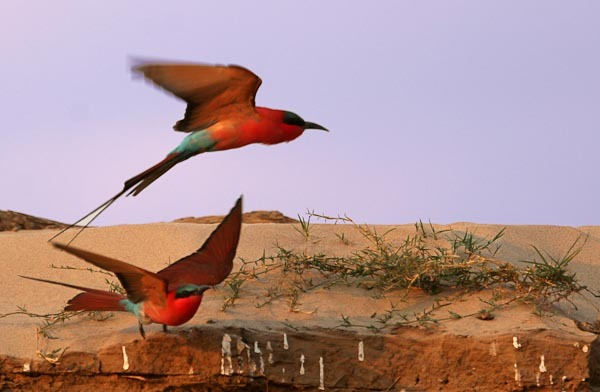 The bird’s migration varies each year, arriving either at the beginning, middle or end of August. 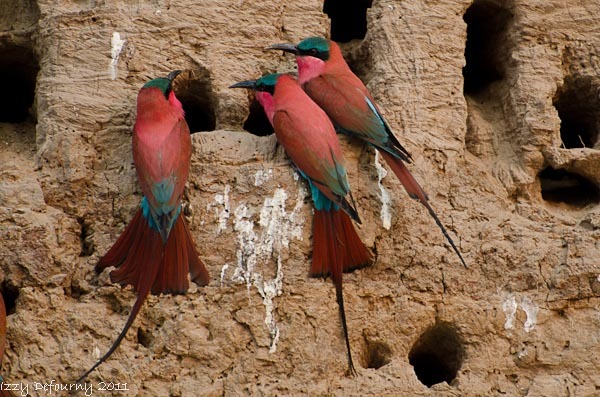 Due to this, we only guarantee the Carmine bee-eater Hide in September and October. 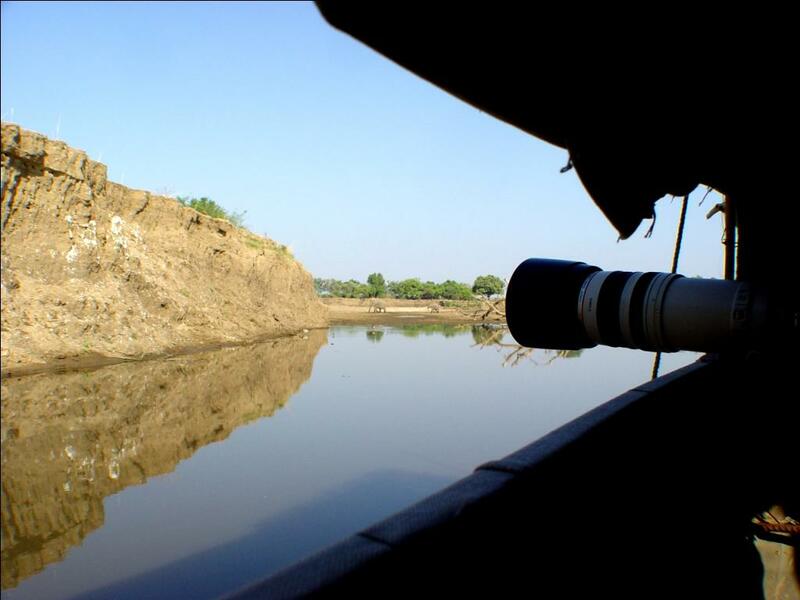 Every year the location of our hide can change, sometimes it is on a boat moored close to the river bank, in other instances, it is on a sandbank close to the colony. 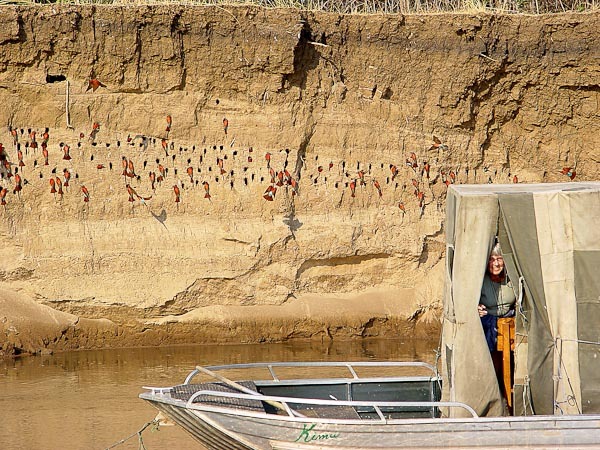 The journey to the hide also changes, so don’t be surprised when if we ask you to be prepared to take off your shoes to cross a shallow portion of the river to reach the hide! 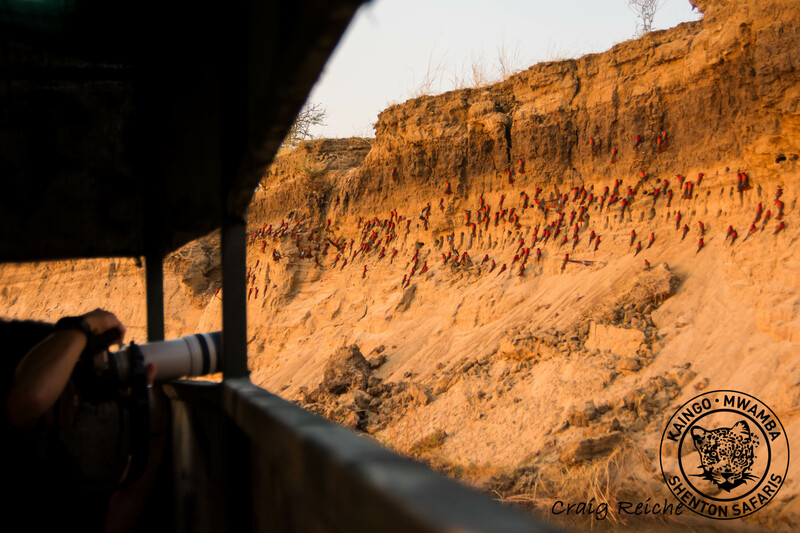 We drive our guests to the location, and in the presence of one of our armed scouts, we walk them across a long beach to the river’s edge. 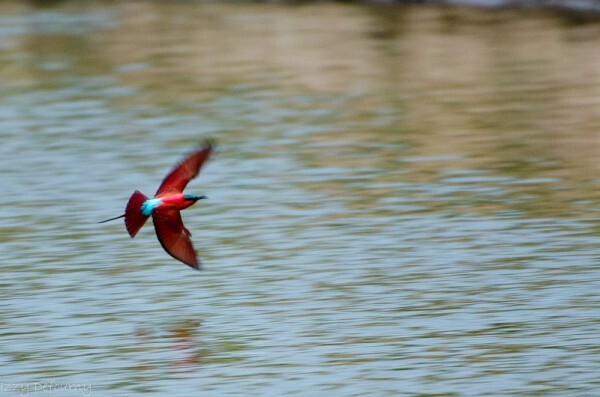 Here shoes are removed and we enter the water. 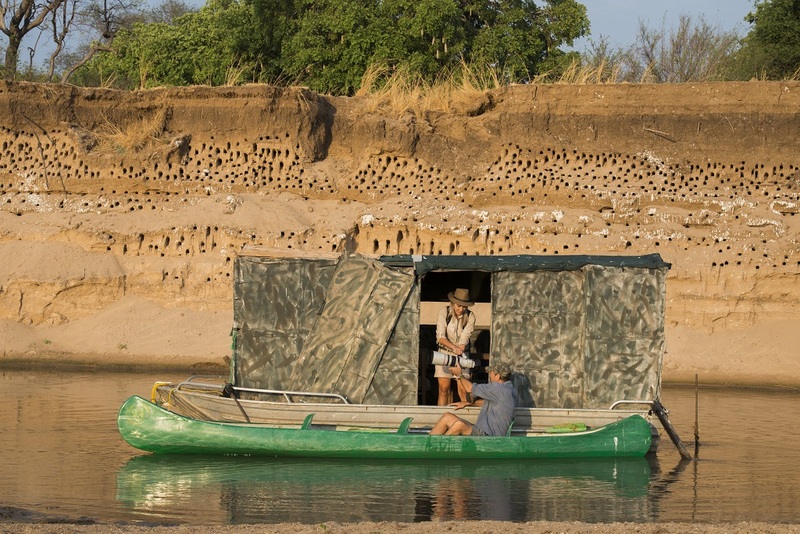 The wade through the river to the hide, anchored on a boat in front of the colony, is so exciting many of our fantastic guests say getting there is half the fun. 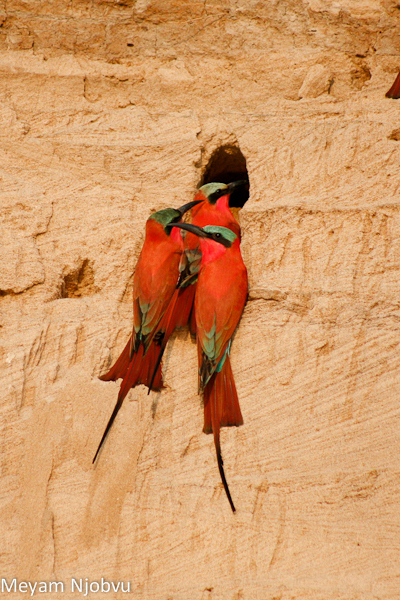 The Carmines are very used to the hide’s presence and carry on about their business as though it wasn’t there. 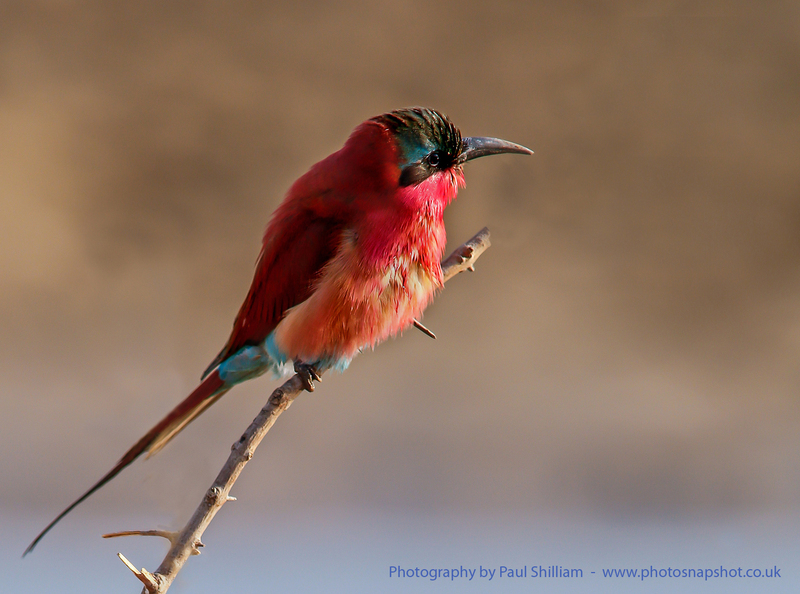 This hide provides fantastic photo opportunities of this spectacular bird. 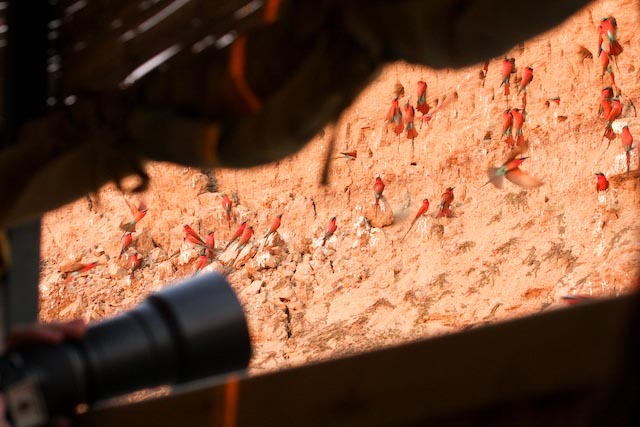 A must for serious birders and novices alike! 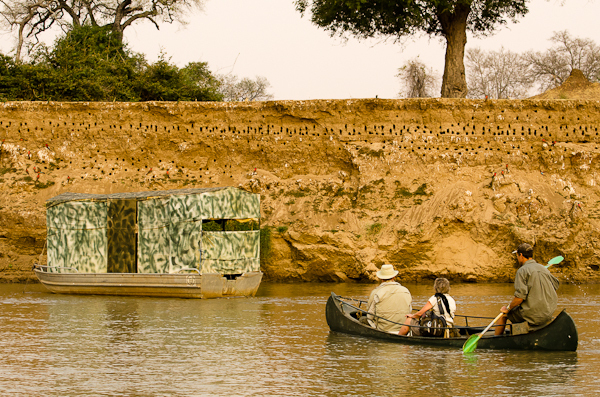 TIP: Pack a pair of flip-flops as you may need to walk across the river to reach the hide! 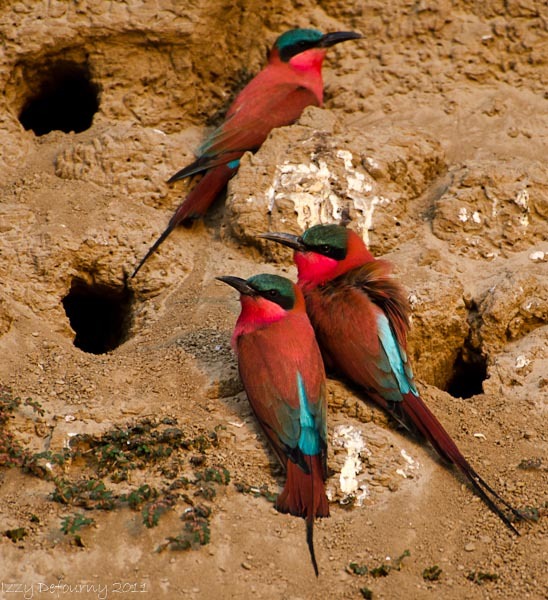 Though you can go barefoot! 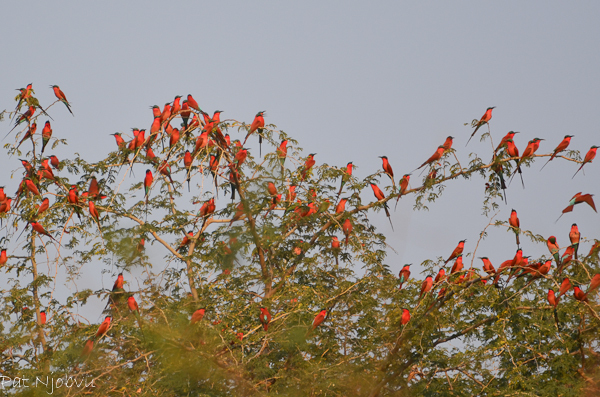 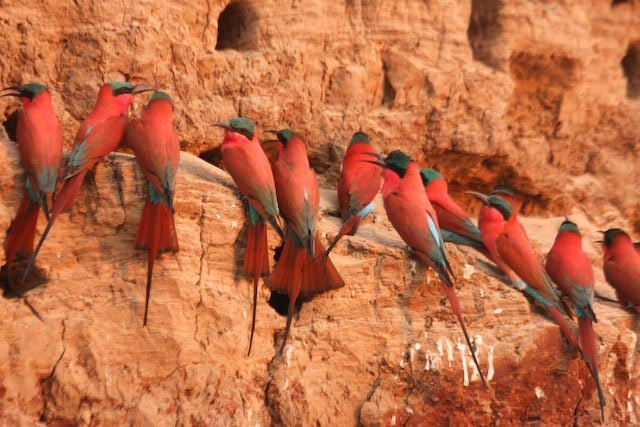 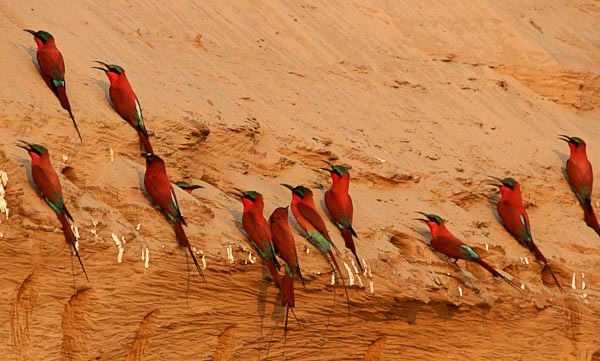 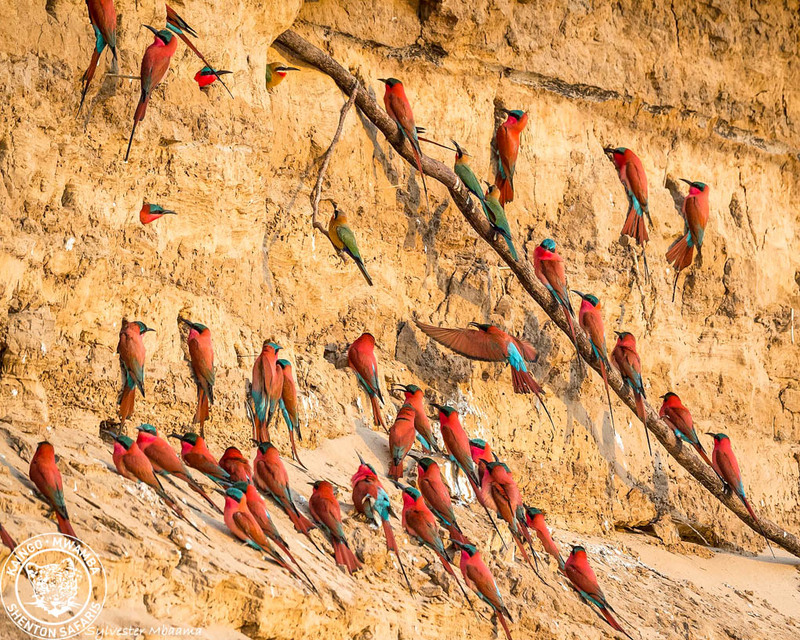 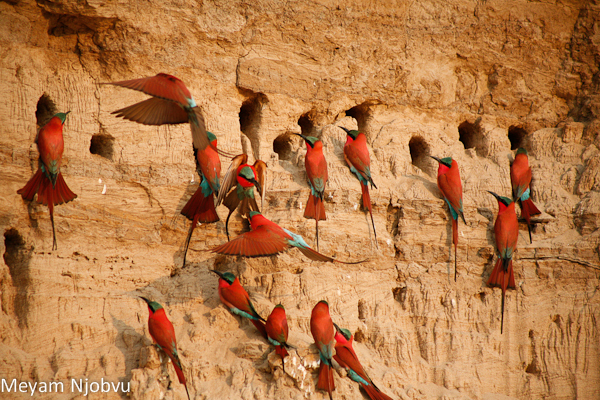 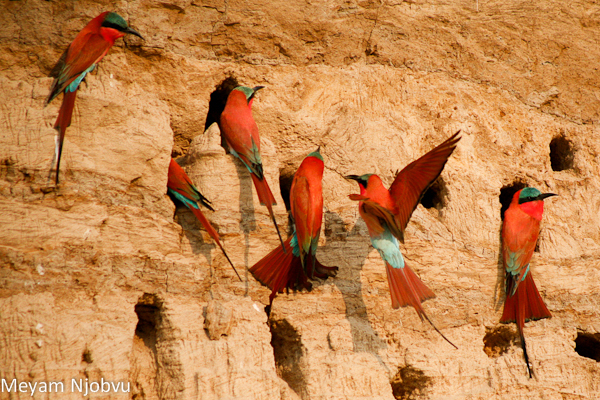 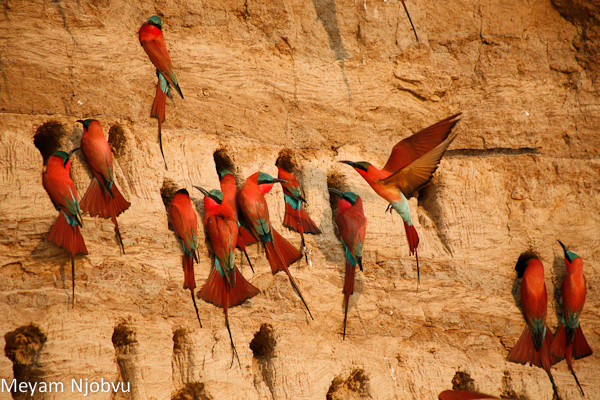 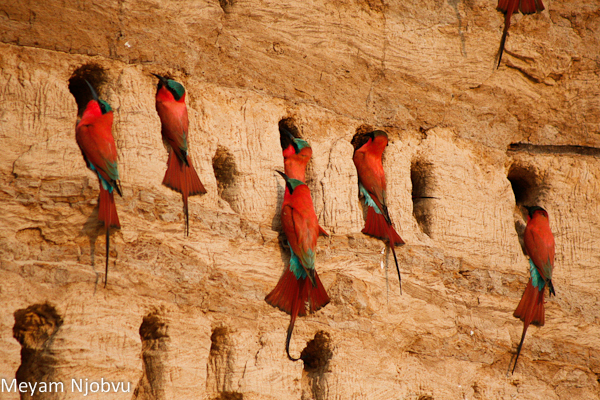 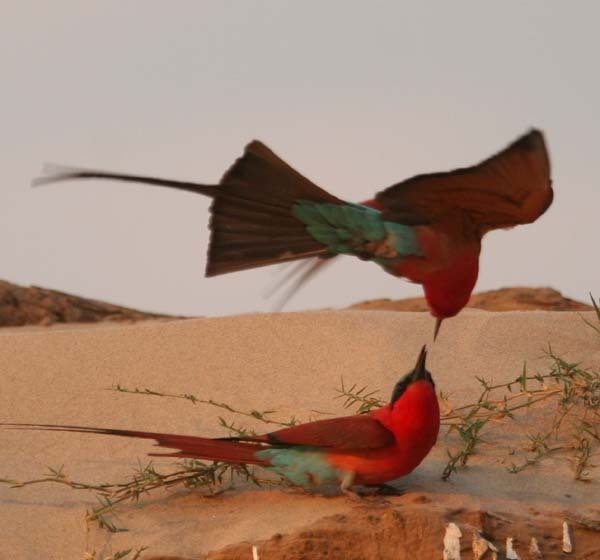 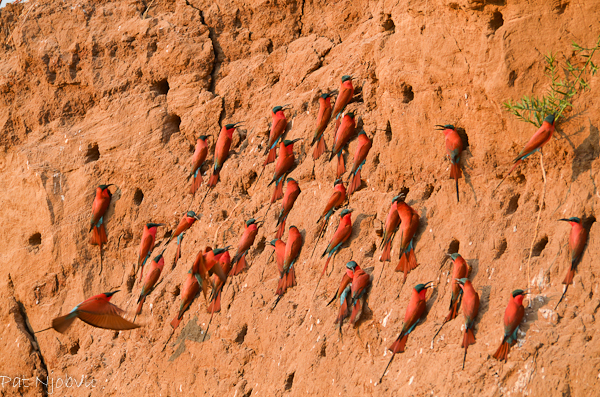 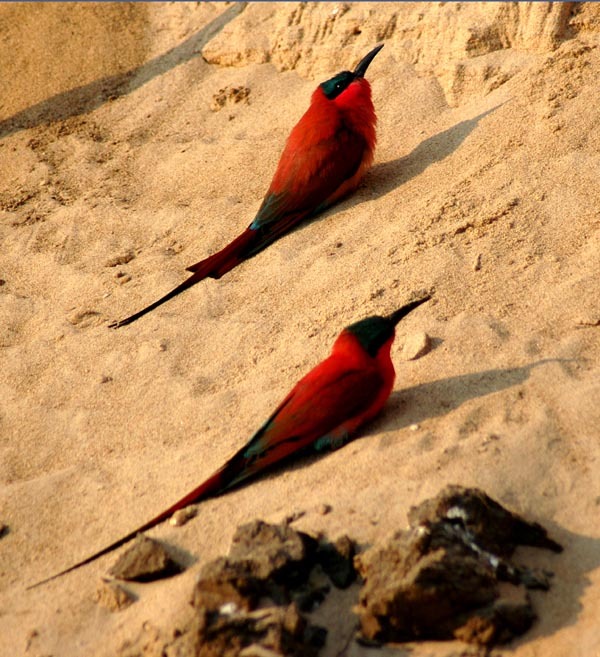 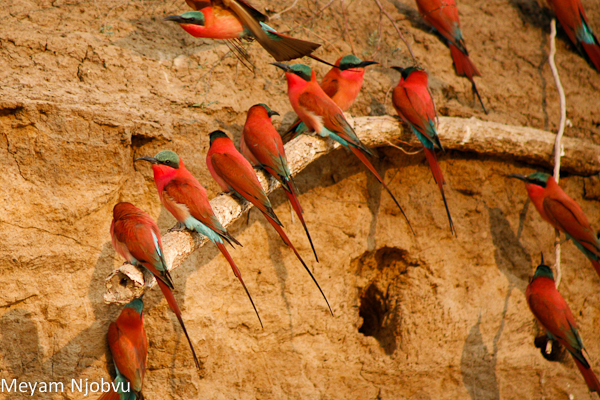 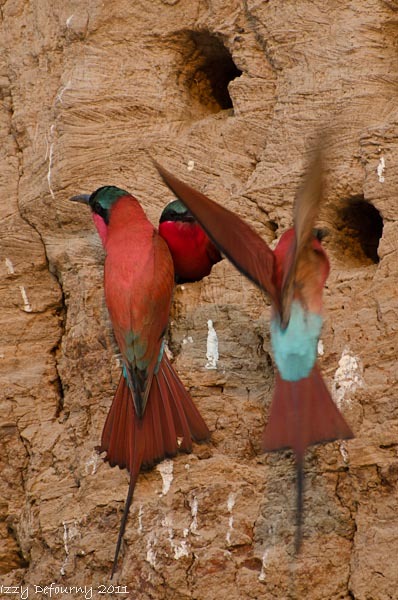 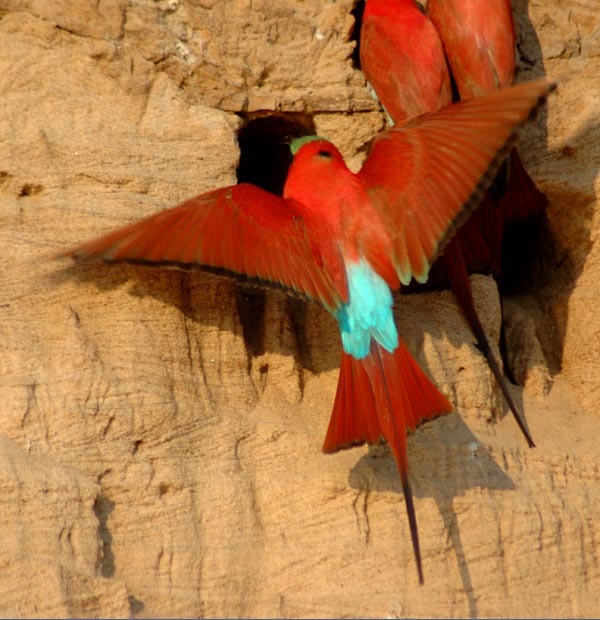 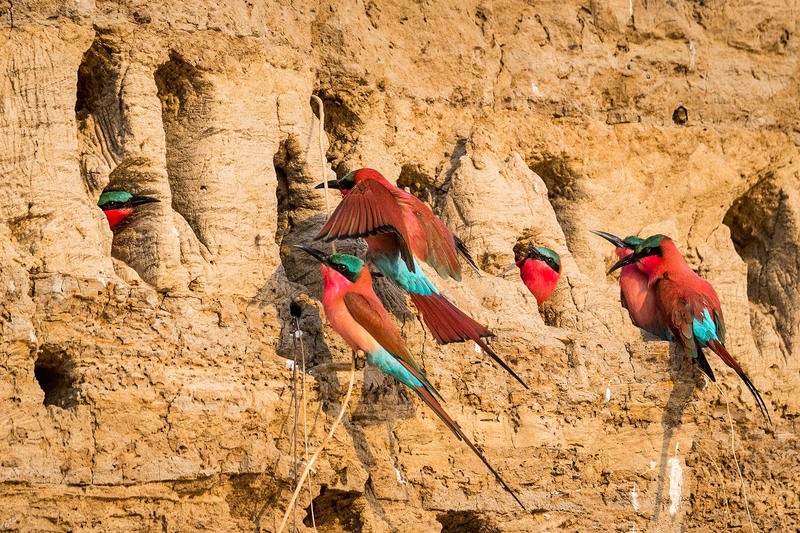 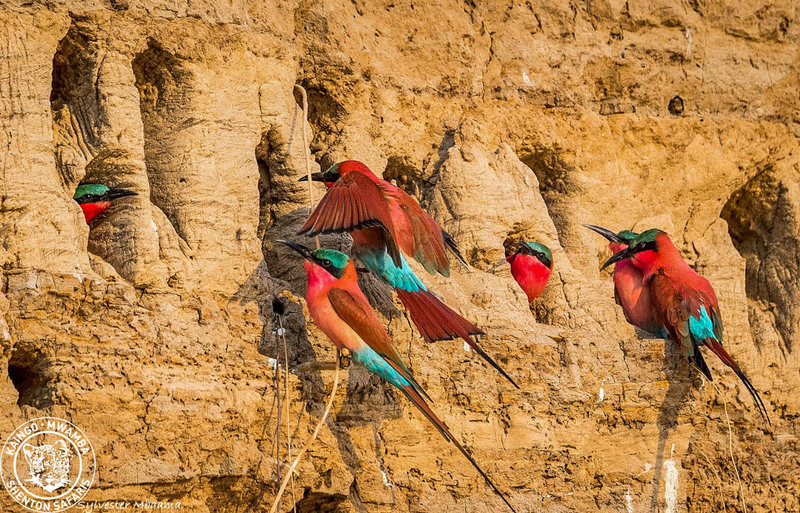 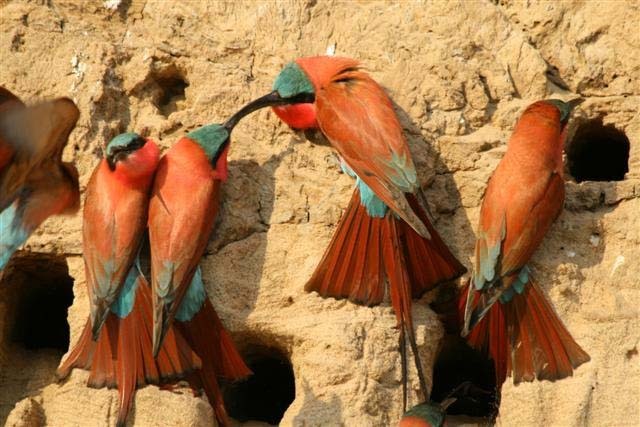 TIP: The Carmine Bee-eater Hide is ideal at dawn, be ready to leave camp before sunrise to be ready in the hide at the birds’ most active time of day. 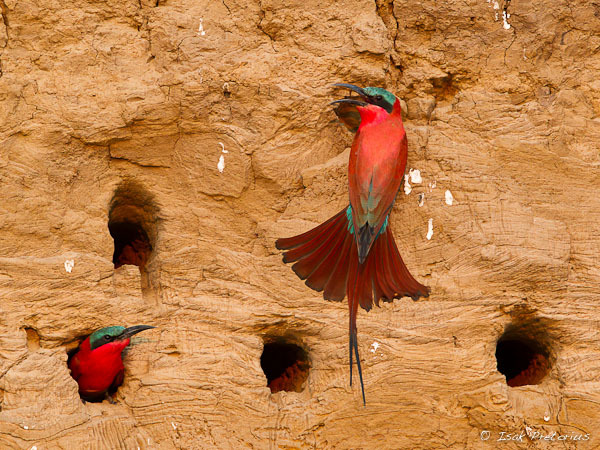 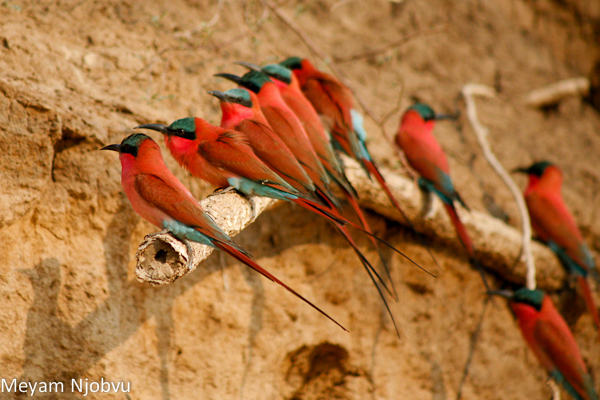 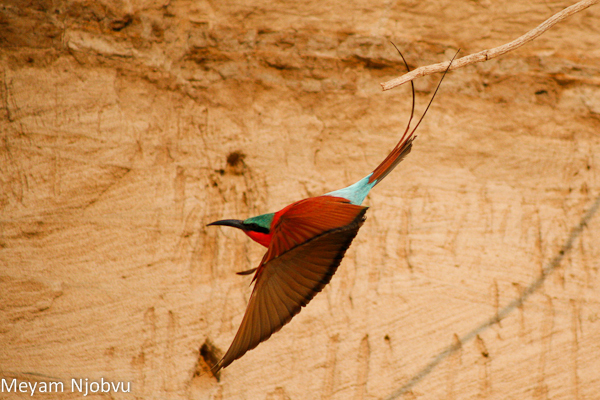 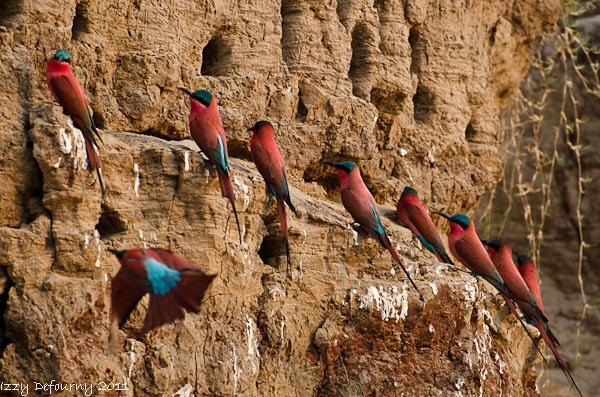 TIP: The Carmine Bee-eater Hide seats a maximum of 6 guests at a time, we rotate guests from both Kaingo and Mwamba through the hide when it is operational.